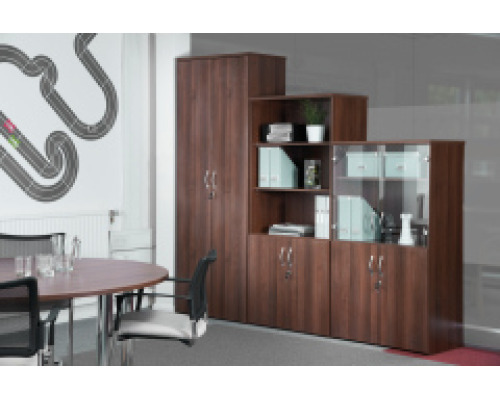 Our stylish range of office cupboards, cabinets and bookcases are suitable for all office styles and designs. We have a selection that look fantastic in both home and office settings and have options to fit various layouts and room plans. The right office cupboards can add to the aesthetics and efficiency of your office and even offer a great way to display items as well as store them. Office cupboards can be used for practical reasons such filing or storing office documents or used as display cabinets for more aesthetic purposes. To cater for different requirements and usage we have a stunning range of different styles and designs to suit your needs and office theme. Open fronted cupboards are great for easy access and display purposes. 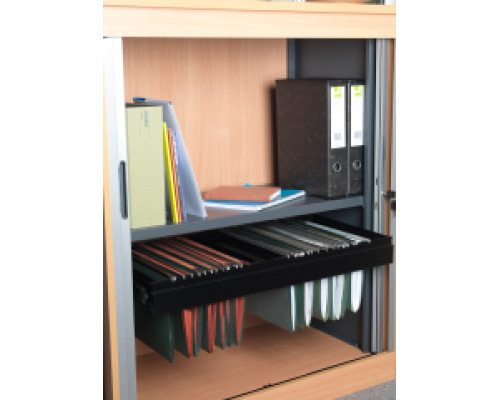 Closed fronted cupboards or cabinets with doors allow you to store more sensitive documents and even include locking systems for additional security if required. 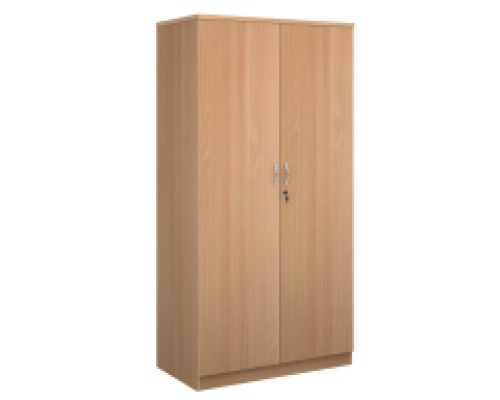 With a large range of closed fronted office storage cabinets they can either be a standard or sliding door or we have a range from Claremont and Bisley that have a concertina style door called a Tambour door. 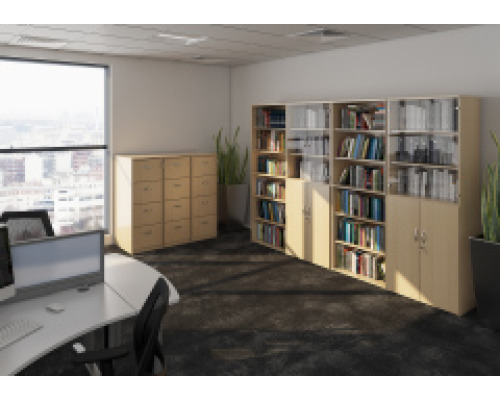 Our office cupboards and cabinets come in a wide variety of widths, heights and finishes allowing you to select the perfect office furniture to compliment your existing room size and style. We have standard cupboards which are smart and practical all the way through to executive cupboards that would add a sense of style and luxury to any boardroom or legal office in the country. We even have a range of office cabinets on wheels for ease of movement and can double up as an office bench seat as they are fitted with a stylish cushion on top. When making your decision on your office furniture there are many options to consider. What type of documents will you be storing? Will you need them to be in a secure office cabinet or are they highly sensitive documents that will need to be stored in a safe? The process of selecting your office cabinets or storage cupboards can be tough so make sure you select the option that is best for your business. For office furniture advice and ideas on how you can utilise your office space to its maximum potential give us a call and we will do all we can to help you. Fitting your Office furniture can be a slightly more difficult task than you may imagine, especially if you have purchased large or bulky items. In fact you may be looking to refit your entire office in which case you may like some help or advice on considerations that need to be made. If you would like more information on how we can help with this then please give us a call or drop us a message, we're here to help.